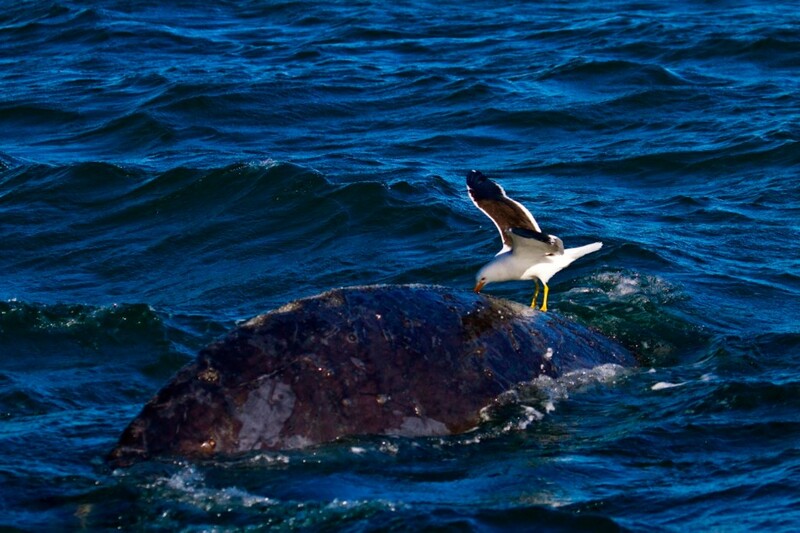 An unusual ecological relationship between kelp gulls and whales has emerged in recent years in Peninsula Valdes, Argentina. 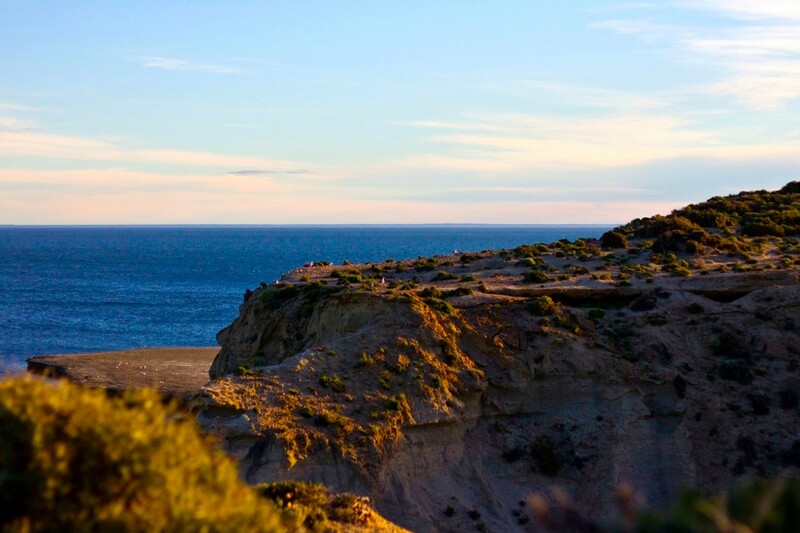 Peninsula Valdes is a UNESCO World Heritage site jutting forth from the Atlantic coast of Argentina. The mixture of warm Brazilian currents and cold Antarctic currents generate a wealth of marine biodiversity along this desert coastline. 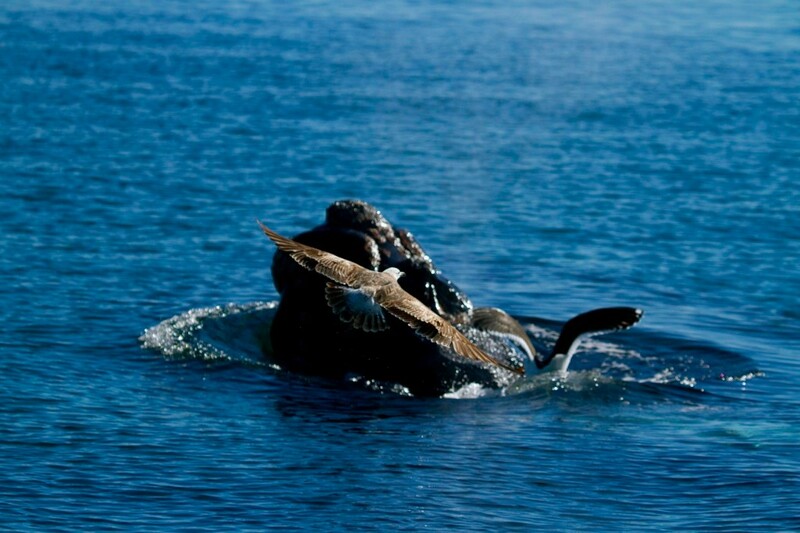 Southern right whales journey to the quiet gulf waters of Peninsula Valdes each year to breed and give birth. Despite its status as a World Heritage site, the biodiversity of Peninsula Valdes faces growing threats from climate change, overfishing, and pollution. Pollution and waste from urban growth and expanding fishery operations contributes to the overpopulation of kelp gulls. 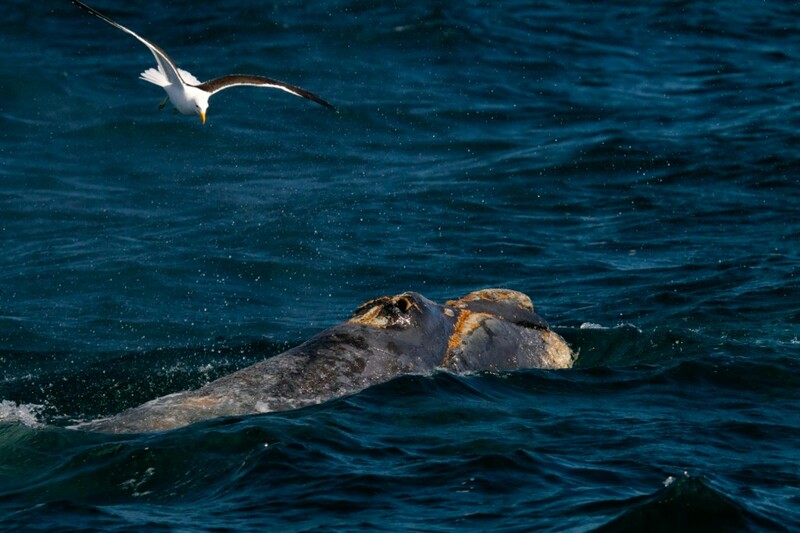 Kelp gulls have adopted a new food source: southern right whale flesh and blubber. Kelp gulls are not eating dead skin or parasites. They are digging straight into the backs of vulnerable calves and mothers, who spend most of their time resting on the surface. 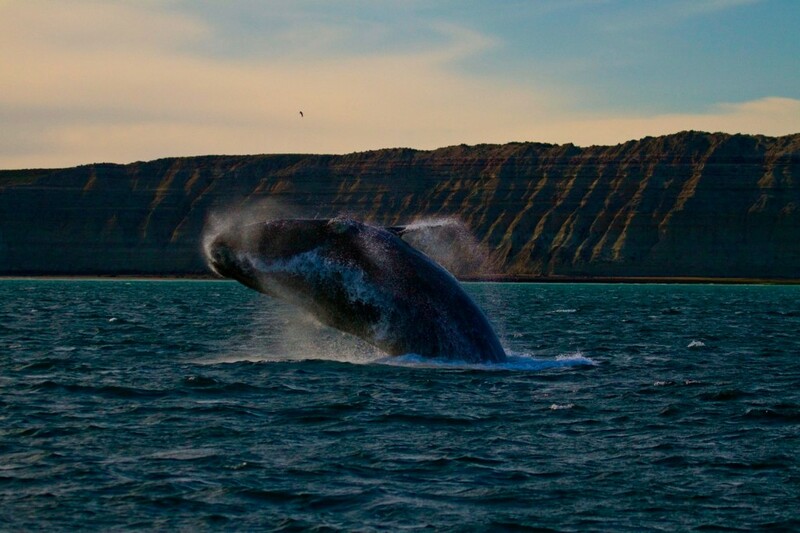 Many whales exhibit crater-like scars and injuries. Newborn calves are the most vulnerable to gull attacks. Their skin is not yet tough enough to protect them from attack, and the gulls know this. Many gulls can follow mothers, patiently waiting for a calf to emerge from the water. 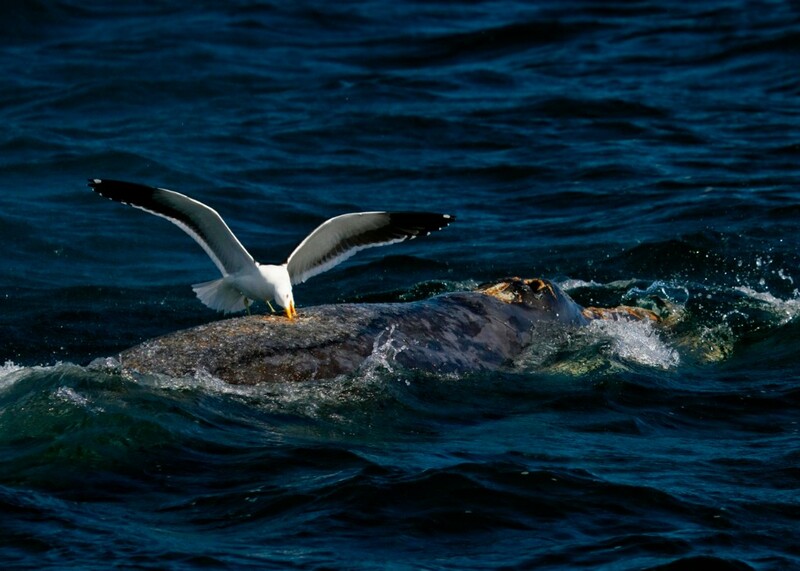 More and more kelp gulls are learning to feed on whales each year. This is an unnatural behavior not observed anywhere else in the world. The behavior is learned and passed on from adults to juveniles (as seen in this photo). Gulls naturally feed on mollusks and other intertidal marine species. Worldwide, gull populations are growing due to a seemingly endless buffet of waste and garbage. 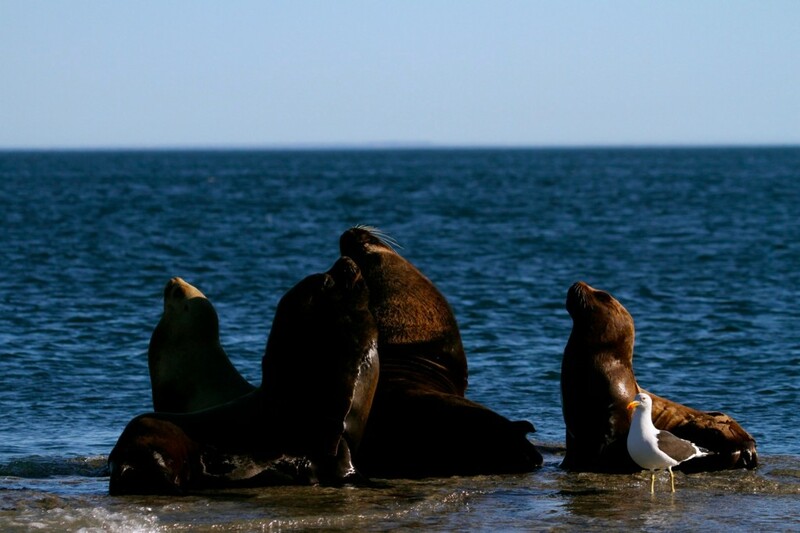 The recent growth of the nearby city of Puerto Madryn, coupled with an influx of Argentinian and international tourists, is generating a waste management crisis along the coast of this World Heritage Site. 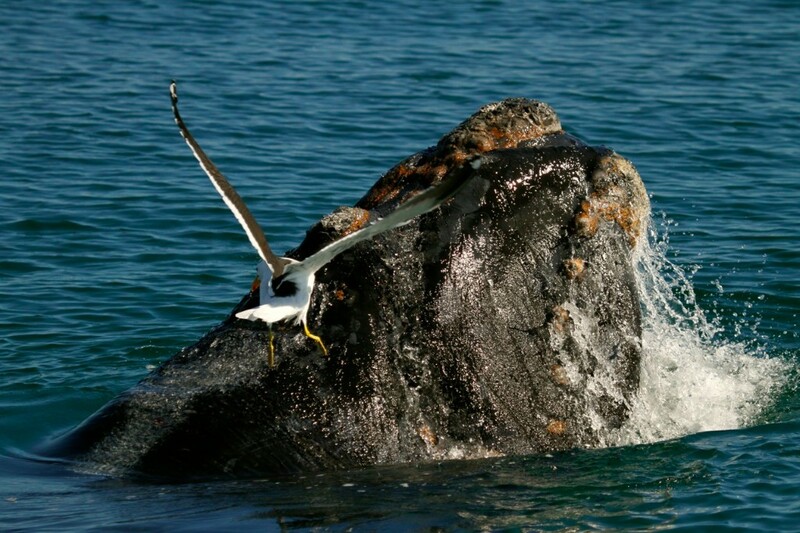 During a Patagonian winter in Peninsula Valdes, Argentina, Stephanie Stefanski explored an unusual ecological threat: gull attacks on whales. 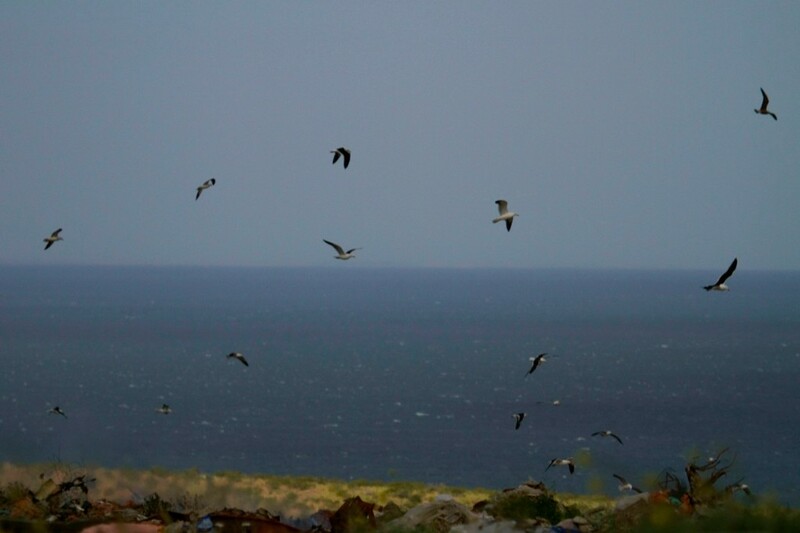 The kelp gull population in Peninsula Valdes has grown exponentially over the last twenty years, fueled by open-air waste dumps and fishery discards – the byproducts of urban growth. The burgeoning gull population has even adopted a new food source: the flesh and fatty blubber of living southern right whales, an endangered species still recovering after two hundred years of intensive whaling. Now researchers and conservationists are faced with the dilemma of managing this problem. 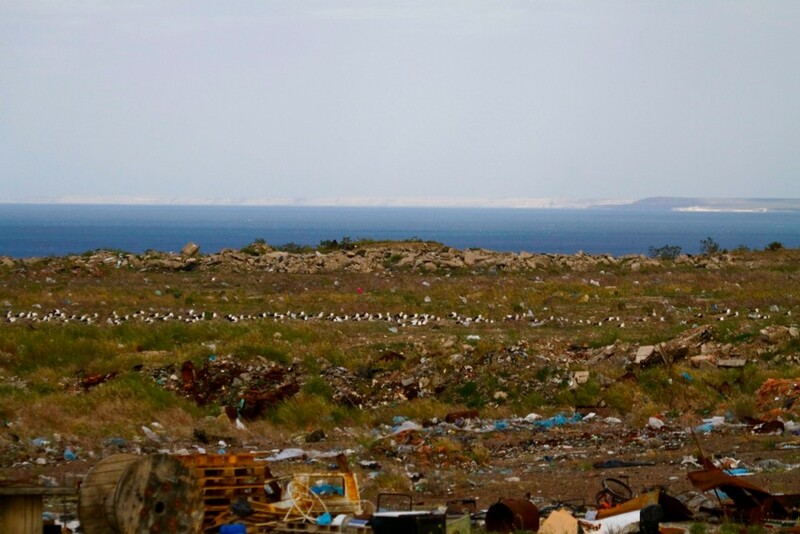 Some want to see the gull population culled or controlled directly, while others advocate for a better waste management system. These two approaches illuminate broader questions about environmental perceptions and priorities: should conservationists focus on that which is more direct and immediate, or pursue more structural and complex solutions? Regardless of the solution, the gravity of the situation is clear: the number of young whales and mothers bearing crater-like wounds from the gulls are growing, as are the deaths amongst whale calves. Stephanie Stefanski is a Master of Environmental Science (MESc) candidate at the Yale School of Forestry & Environmental Studies, with a focus on marine resource economics.